Alamo Music Center Proudly Presents the 30th Annual Guitar Wars competition; the longest continually running guitar competition in the United States! Compete in Electric, Acoustic, or Bass category for great prizes and a chance to be featured on our popular YouTube channel. Post a 30 - 60 second video on Instagram of you playing. Submission are due by December 10, 2018. The event is open to the public with a suggested $5 donation at the door. 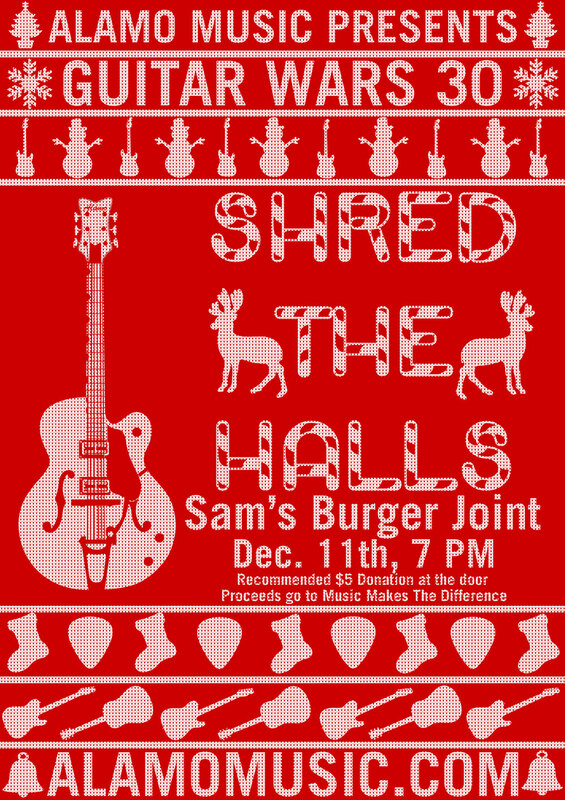 Proceeds go to benefit the Music Makes the Difference Program.